I’d be lying if I said that I always knew Destiny would be a good game. Despite my appreciation for Bungie as a studio, the first year of Destiny was pretty disappointing to me, so it was a huge surprise to see Destiny rally with The Taken King. The Taken King fixed so much of what was wrong with vanilla Destiny, and I couldn’t be more excited to see what comes next for the ongoing title. Just Cause 3 is one of those games that is just so fun, nothing else about it matters. I don’t care about the nonsensical wingsuit physics, or the imperfect gunplay, because I can collapse an enormous structure using a rocket launcher, while magnetically attached to the underside of an enemy helicopter. I could play this game forever. Hot damn! Isn’t Rocket League just the best? I don’t know how many hours I’ve logged with this title, but I’m sure it’s an embarrassing amount. Fast paced, cooperative, and above all: Fun! What’s not to love? Tales From The Borderlands was certainly an underdog this year. Although Telltale Games has had great success in the past with their story-driven adventure games, Borderlands always seemed like an odd property for them to use, and the studio hadn’t created a full-fledged comedy game in some time. But despite all that, Tales From The Borderlands is hilarious, endearing, and well worth the price of admission. I wasn’t much of a fan of the original Tomb Raider reboot, so this game was a huge surprise for me this year. They nailed the combat and survival mechanics that were introduced in the debut title, and improved across the board in terms of storytelling and presentation. If this franchise has never interested you, I recommend giving it another shot! Ori and the Blind Forest became my new favorite platformer this year (replacing Shovel Knight, surprisingly). The platforming is nearly flawless, and the story is simple, but incredible. I was hooked from the opening sequence and didn’t put the controller down until I had completed the game. Halo 5 was the best shooter to come out this year. 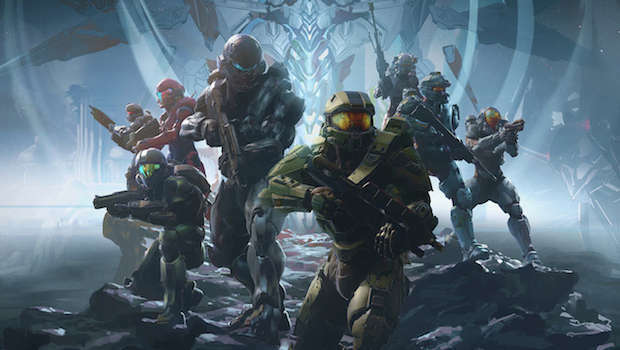 From a mechanical standpoint, the game couldn’t be more well-balanced, and 343 Industries managed to nail what a modern Halo experience should feel like. The story decisions they made were bold and Universe-altering (whether you liked the direction or not), and I can’t bring myself to stop playing! Fallout 4 was my most anticipated title this year, by a pretty wide margin. I love Bethesda RPGs, and knew I’d be spending countless nights roaming the post-apocalyptic wasteland. The game ended up being more of an incremental improvement over its predecessors, rather than a ground-breaking title like Skyrim, but it is still one of the best open-world experiences to be had in 2015. The Witcher III: Wild Hunt is my personal Game of the Year. It is a massive open-world title that managed to have a nearly flawless launch (which is rare for a game so big), and the post-launch support that we saw for it was absolutely refreshing. The Witcher III: Wild Hunt is a great example of what can happen when a developer takes their time with a game, and the result is breathtaking.